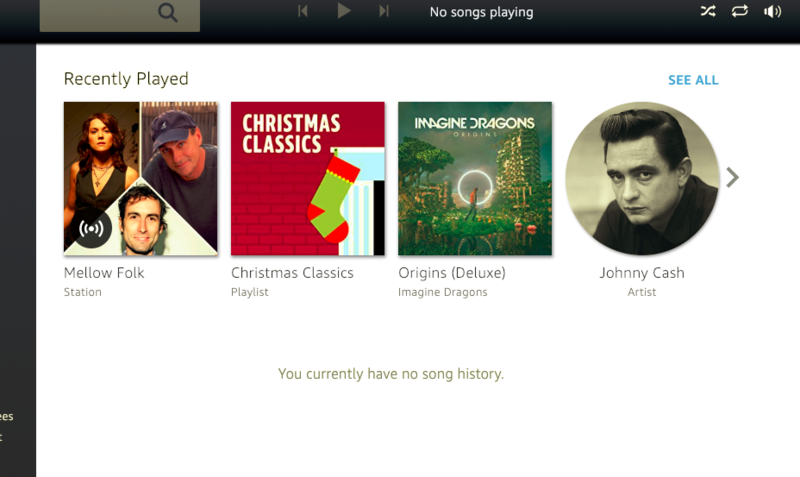 Recently my Amazon Music account stopped recording music played history. I would like to be able to keep an eye on the music my daughters are playing. I have looked all over and cannot find the setting to turn this on -- it used to be there until we added Echo Dots at Christmas. Browse other questions tagged alexa amazon-echo or ask your own question.